Do you have he details for the guy? Do you mean just a straight pipe or a straight though (absorption type) back box eg there are some on eBay cheep universal cheery bomb. Not sure if this is tuning but... 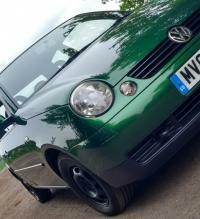 I've got a 1.4 75hp petrol and I want a louder 'better' sound without it being too loud as it is a daily. I still want the CAT (obviously) but want to know if the middle or back box would be better to change. I'm willing to buy if anyone has one for sale. Thanks. I've had the car about a week now, enjoying so far! Unfortunately after 3 days someone had stole one of my plastic wheel trims. I am now looking for different wheels. I have 175/65/13 steel. Question- What sizes are compatible? (Will they foul the wheel arch if they are bigger). I've seen a few on eBay but only steels for this size? Keiranleigh replied to Keiranleigh's topic in New member? Well trying to hold it together. Just did the first oil and filter almost cried. ( See pictures.) I have not done the diesel thing, it will cost about £10 for oil and filter so I shall them quite often to make it up to her! Why diesel in with the oil? Could a oil 'cleaner' due the job (forte or something)? Would the diesel alter the oils properties. And what's causing the oil in the air box? ( Blocked breather) and is it PCV. With the diagnostic machine we use a snap-on ultra or something, it's updated regularly so it talks to anything. It is very involved with electronics! As for 'full' electric cars not so much but more about hybrids and hydrogen. But yes everything is around electronics (sensors, ECUs). But the worst thing is that they don't tech you the 'old stuff'. We have some old cars in (at the garage I work at) and I look at them and everything is mechanical. Something's make sense but others... What do you mean about the "diagnostic system"? What is there to adjust/ change to make it run better? I did spark plugs, air and fuel filters last night (although the air box had quite alot of oil from the left breather pipe!! There was no oil on the dip stick when I brought it sadly) . Hopefully oil filter tonight. But as for the running is it hydraulic tapits? And I'll pull the egr off and clean inside but what else is there. Keiranleigh posted a topic in New member? Hello, I'm keiran I'm 19 and live in Burton Latimer (Northamptonshire). I'm currently an apprentice mechanic on a level 3 motor vehicle course at college. 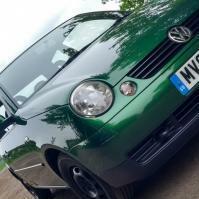 I brought the Lupo 1.4 16v 2002 a few days ago as my first car. I guess that's it really! I'm here to discuss and learn. Thanks, keiran. Ps. Pictures to follow shortly; weathers not to good.